On super cold days layering is very important. I did a whole post on layering not to long ago so click here to check it out! But layering can add so much interest to an outfit. 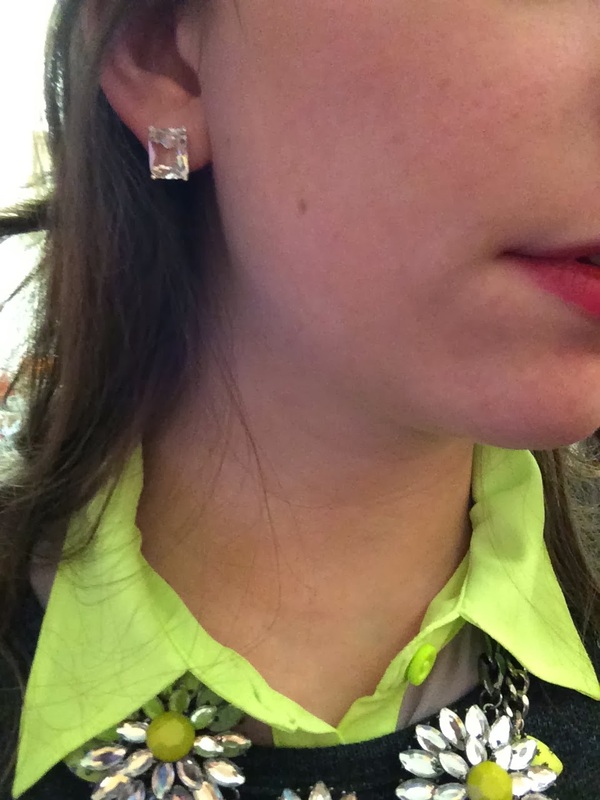 It not only adds texture but also color and in this case some sparkle! I first choose this sheer button down shirt that is grey with a neon green collar. 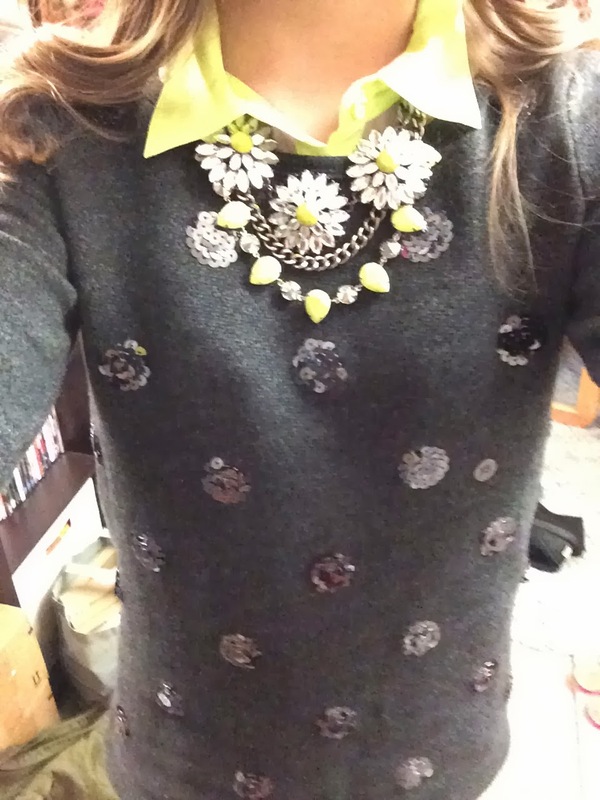 Then I layered one of my favorite pieces an embellished sweatshirt from Aerie to the look. I love how the neon green collar stands out against the charcoal grey sweatshirt. 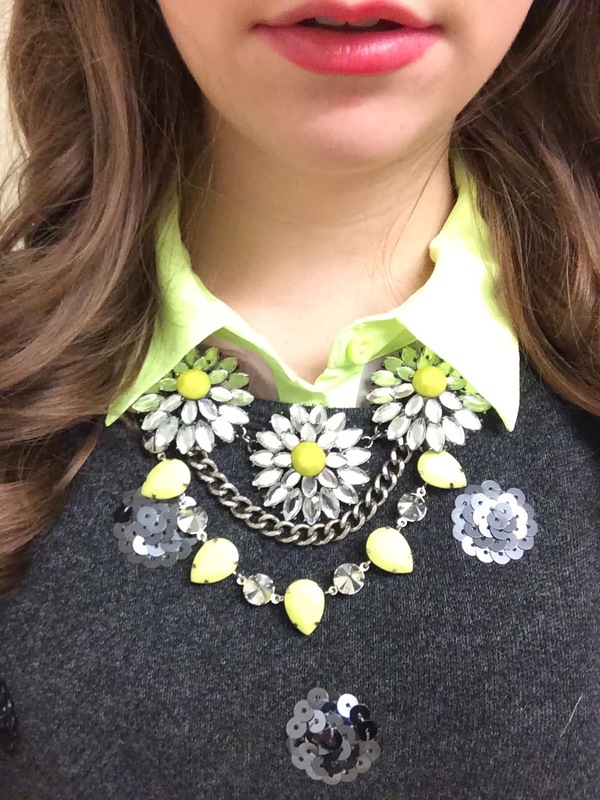 To add on to my layering I also layered two statement necklace to create basically one huge one. It just so happens that I had two necklaces that matched my shirt perfectly! So I layered the two to create a mix of glam and edginess. 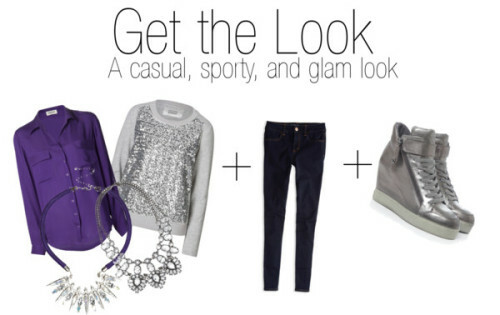 Pairing the look with jeans makes it more casual and easy to wear on an everyday basis. 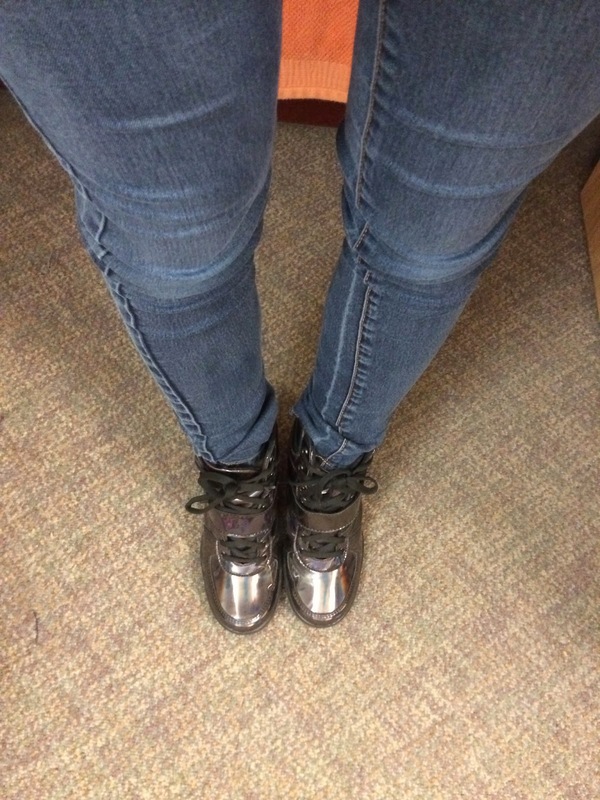 To dress it up a little I wore my crazy wedge sneakers. But, of course you could pair your look with black boots or whatever your shoe of choice is. 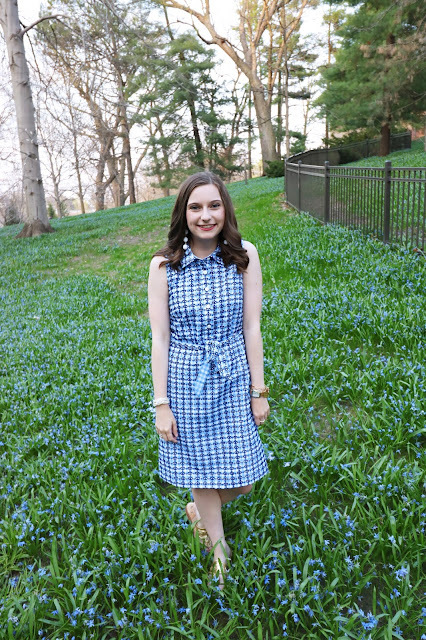 Overall I was kind of obsessed with this outfit and I am for sure going to try more looks like this in the future!